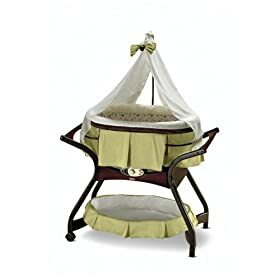 The Fisher-Price Zen Collection Gliding Bassinet is marked down to $169.39. That's 37% off the regular retail price of $259.99! The Fisher-Price Zen Collection Cradle Swing is $179, a savings of 19% off the list price of $219.99. The Fisher-Price Zen Collection High Chair is $136.99. That's 24% off the regular price of $179.99. The Fisher-Price Zen Collection Infant Seat is marked down to $70.64. That's 29% off the regular price of $99.99! I have the cradle swing and I love it! It swings side to side and front to back. The chair comes out and my baby sits in next to us while we eat. I got mine at Costco…similar price but their return policy can't be beat.